What's new at Limousin farm holidays? Keep up to date with the animals, the campsite and the dogs. If you want to subscribe to our news feed, click on the orange button to the right of the Recent Articles link. Continue reading "agritourisme en limousin, le camping comfortable, la cuisine française"
Rester sur une exploitation agricole en Creuse dans le Limousin, et voir les belles vaches limousines dans leur environnement d’origine. Les vacances d'écotourisme au coeur de la campagne française. Continue reading "Limousin Farm Holidays: site d’écotourisme qui fournit des produits de la ferme"
A real working Limousin farm offering interesting accommodation, home cooking & a chance to connect with nature. Limousin farm holidays offers nature, walking, cycling & eating. Continue reading "Limousin farm holidays for comfortable camping, french food and the outdoors"
Using all the latest carbon footprint calculating technology, we have worked out the carbon footprint of your holiday with us. For a family of 4, travelling by car from southern England, the carbon footprint of your holiday is about 1100kg. This is 500kg for the return car journey in an average sized family car and 600kg/week for your stay, including touring the area, days out and eating our home produced food etc. Compare this with travelling to Orlando, Florida by plane; emitting a staggering 31 tons of CO2. If you then stay in resort hotel your family stay could produce between 4 and 5 further tons per week. With the average UK family producing around 1.2 tons per week, you're actually doing the planet good by coming to stay with us!! Another great reason to come to Limousin Farm Holidays. Table d'hotes dining at La Tuilerie, experience local produce, cooked simply in a relaxed, family atmosphere. Limousin Farm Holidays Ecotourism Site Supplying Farm Fresh Local Produce. Stay on our real, working, Limousin farm in Creuse. See beautiful, limousin cows in their native environment. An ecotourism holiday in the heart of the french countryside. Continue reading "Limousin Farm Holidays Ecotourism Site Supplying Farm Fresh Local Produce." How to find limousin farm holidays,? What are the cheapest, quickest and greenest ways to get there? 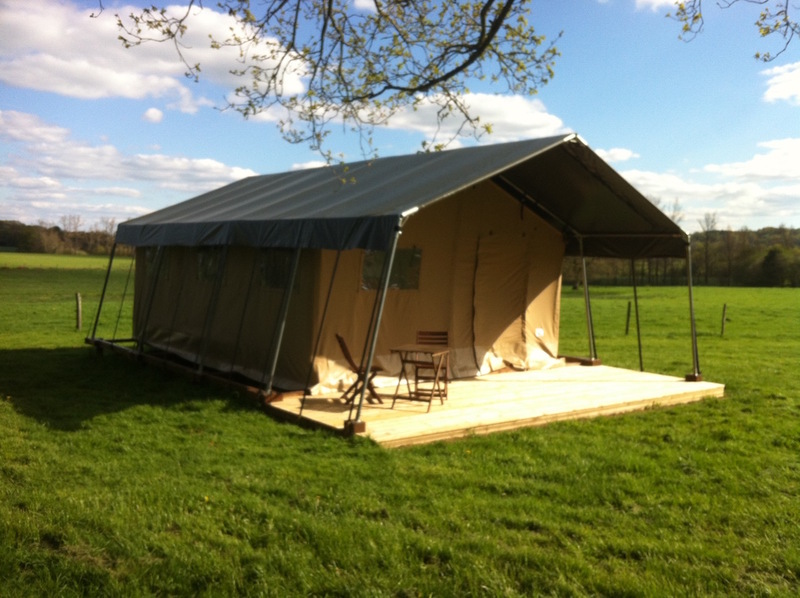 Continue reading "Find Limousin Farm Holidays"
Continue reading "See our safari tents"